Top quality die-cut paper products to meet your needs. Benchmark is proud to partner with Zapco to offer custom die cut products compatible with Xerox equipment. Zapco, Inc. is a family owned 20+ year old company located in Central Texas. 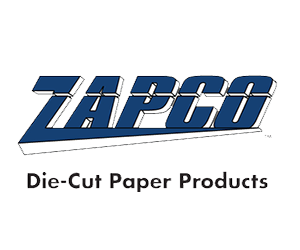 Zapco manufactures top quality die-cut paper products and is a major leader in the industry of tamper resistant paper by manufacturing in-house, their own security paper known as Security-Guard-Plus. Zapco offers a wide range of paper product solutions. Browse their catalog to see their full capabilities.